Payroll Pay Cards | Human Resources Inc.
We are proud to announce our partnership with Global Cash Card allowing us to provide ATM cards that are automatically prefunded by your payroll. This greatly reduces the amount of paperwork that goes into a normal payroll cycle for employees that may not have bank accounts and direct deposit. Do You Know The Most Important Payroll Procedures? Processing live paychecks and deposit vouchers requires hours of administrative time. If you’re outsourcing, you can reduce the cost of overnighting paychecks to your location. Pre-paid payroll cards can also reduce the instances of check fraud and liability of the employer. 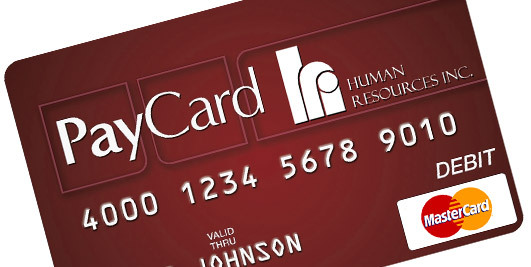 Call the payroll professionals at Human Resources, Inc. to find out if the Global Cash Card is right for you!